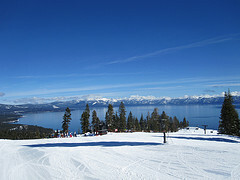 I won’t be making any CrossFit workout updates for a few days because I will be in Tahoe skiing. I guess you could say I will be doing a lot of quad workouts! Looking forward to seeing how much CrossFit will improve my skiing performance.